388 The Napinka Subdivision, Mile 0 to Mile 49. 2012/05, CPR/Napinka Sub., mile 25, looking N.E. back towards Clearwater. 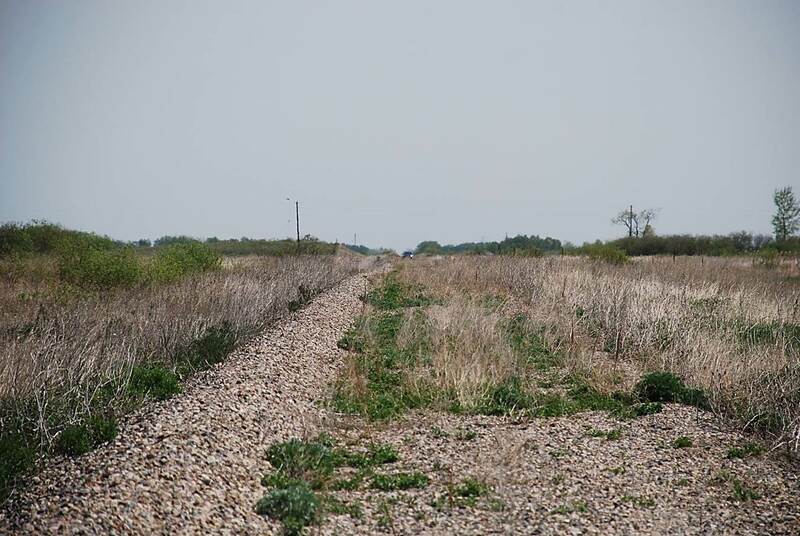 Ballast has been graded into a ridge to facilitate loading and hauling away for other purposes. (Click on photo for detail) © Text and Photos exclusive copyright of N. Froese, Author.